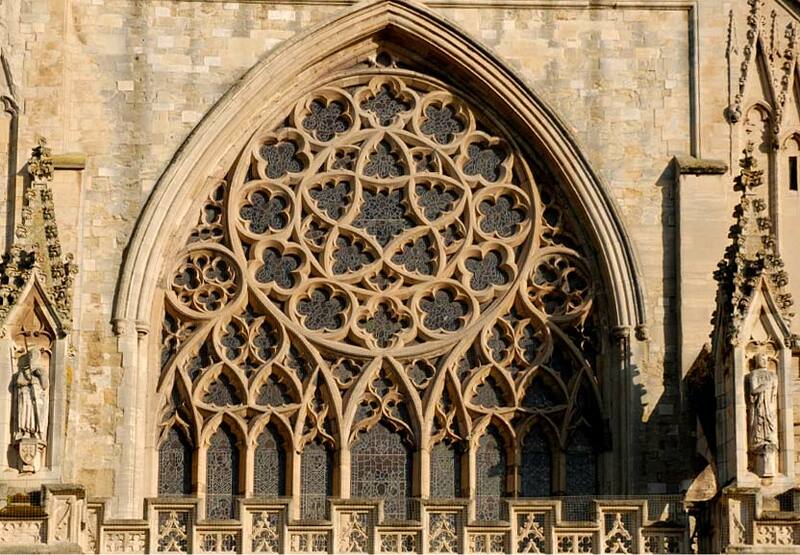 The great West window of Exeter Cathedral created by William Peckitt of York, the leading glass-painter of his day. It was completed in 1767 at enormous cost. It portrayed standing apostles and saints, with the coats of arms of cathedral dignitaries and the Devon families who sponsored the work.